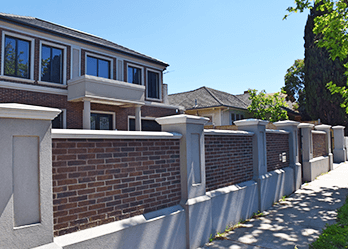 With Custom Brick Fences, your new fencing in Glen Waverley will impress your friends and be the envy of neighbours. We have fifteen-years’ experience in the industry, service customers with the best customised fences. We have control over the quality of the process, because we both manufacture and install. That’s right – we won’t bring it inferior quality products via imports. Rather, we make that every product we install is top-quality, offered at competitive prices. Whatever the style of layout of your home, we can offer a custom fence to suit your needs. We have a range of styles and types of fence to suit your taste and design vision. For gates in Glen Waverley, you’ve come to the right place. We offer a range of gate options including wrought iron gates. These are often admired fronting old Victorian and Georgian homes. Many find the decorative qualities of these fences desirable. We’re here to tell you that you can install a wrought gate for a classic look. 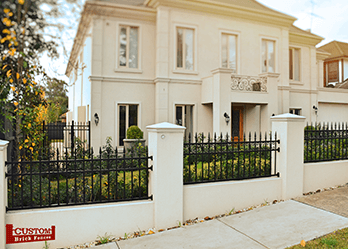 For those looking for the best in modern technology for their fencing in Glen Waverley, we also have the best automated sliding and swinging gates. 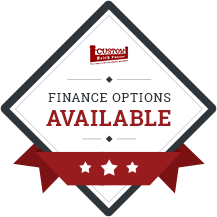 These are both easy to operate and have a sophisticated technology, so you can operate them with the simple push of a button. This is ideal on those rainy days! For the best products at affordable prices, call on Custom Brick Fences today!